Stella Artois have just announced that Jon Favreau has joined the Stella Artois Connoisseurs Series. You may remember that earlier this year Stella Artois collaborated with Favreau to host the UK premiere of his latest film Chef (as well as an evening of absolutely superb fun and delicious food) to UK audiences. To celebrate the launch of Chef for home release on DVD, Blu-ray and digital download from the 3rd November Stella Artois and Jon Favreau have created a short film exploring Jon’s passion for his craft and inspiration behind his work, from his rituals to the techniques applied to each project which contribute towards his success. This short film with the Hollywood director and actor is the latest instalment of The Stella Artois Connoisseurs Series – a collection of video portraits looking into the world of quality craftsmanship. Jon Favreau joins other talented Connoisseurs in this exclusive club like; Ben Wheatley, Wim Wenders (who recently directed the Simple Life Stella Artois Cidre advert), Shane Meadows, Allen Leech as well as renowned sports personalities Jamie Morrison and Henri Leconte. Stella Artois, the premium Belgian beer has launched the latest instalment in its Connoisseurs Series with Hollywood director and actor, Jon Favreau. A collection of video portraits, the Connoisseurs Series looks into the world of quality craftsmanship, giving unique access to leaders from the world of film, sport and food. For the latest video, Favreau discusses his passion for craft, unveiling the inspiration and motivation behind his work and uncovering what drives him to achieve excellence. The video delves into his rituals and examines the processes and techniques he brings to each project and how these have helped contribute to his success. 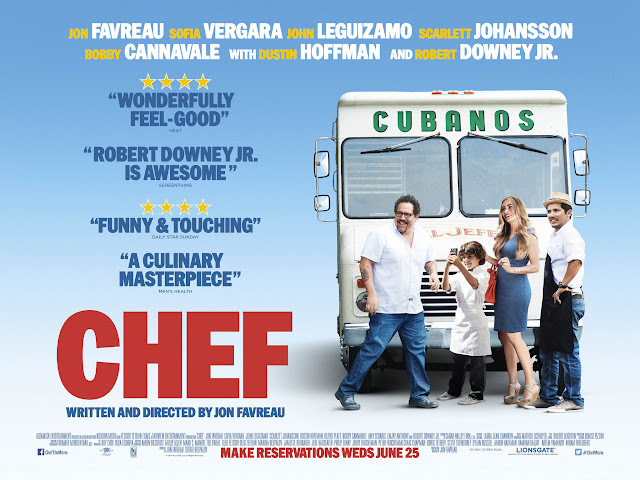 Shot at the premiere screening of Jon Favreau’s latest film Chef, the video sees Favreau talking about how cinematography has changed and the influences this has had on him and the industry as a whole, stating that he always wants “to blow people’s minds”. The screening of Chef was supported by the Stella Artois bursary programme, a scheme which is designed to support stand out film. Previous videos in the Stella Artois Connoisseurs Series include tennis legend Henri Le Conte, renowned polo player Jamie Morrison, directors Wim Wenders and Shane Meadows and MasterChef winner Shelina Permalloo. Viewers can discover the Connoisseurs Series on Stella Artois’ UK YouTube channel. CHEF is out to rent and own on DVD and Blu-ray and digital download from the 3rd November from Lionsgate Home Entertainment.